Angie Werner was stumped when she tried answer the conundrum and turned to social media to help her out. 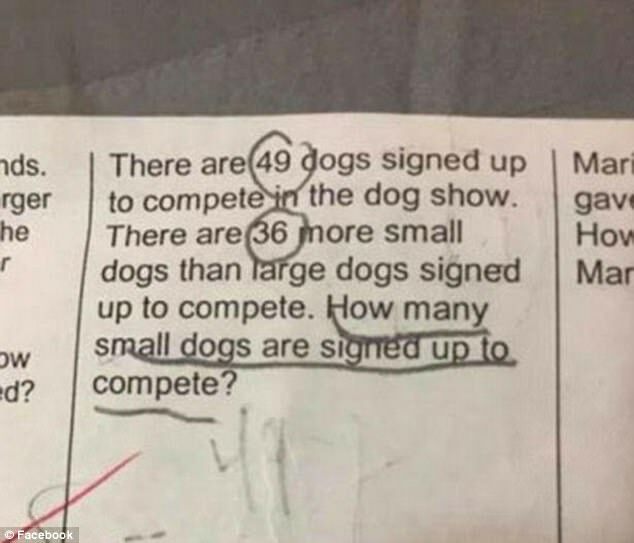 The problem asked how many entrants were in a dog show and while at first the answer appeared to be simple - in fact it left many parents completely miffed. Ms Werner asked Facebook group Breastfeeding Mama Talk Privately if they could make sense of her daughter Ayla's homework. Most came to the answer 13, but Ms Werner later explained that teachers told her it was 42.5. She explained: 'The district worded it wrong.